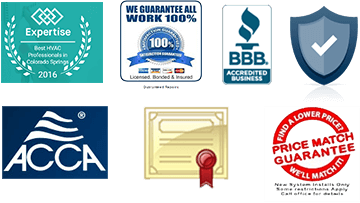 furnace preventive maintenance - Basset Heating & Air Conditioning Inc. furnace preventive maintenance - Basset Heating & Air Conditioning Inc. This home was less than 3 years old yet the furnace appeared as though it hadn’t been serviced in a decade. The furnace’s blower motor and wheel were caked with so much latex paint over spray and drywall dust that the additional weight on the wheel ultimately caused the motor to overheat and fail completely. This is a problem I see all too often in newly constructed homes and if not addressed, it will not only lead to inefficiency of the home’s heating system (and cooling if the home has central AC), but will eventually lead to component failure. The importance of having your new furnace inspected cannot be overstated. Furnace preventive maintenance is vital even if your home is brand new. The home was built during the cold winter months and the furnace was being used to heat the home during the construction process. During construction of a home, drywall dust is abundant within the home, and when the walls and ceilings in a new home are painted this is done using an airless paint sprayer, which creates a fine mist of paint particles floating in the air. The problem, more often than not, is that the construction workers in the home are running the furnace without a filter in place. The drywall dust and paint over spray will be pulled into the return air ducts if the furnace is running, and end up being blown into the blower housing of the furnace, coating the motor, blower wheel and other components within the blower cabinet with this dust and paint mist. 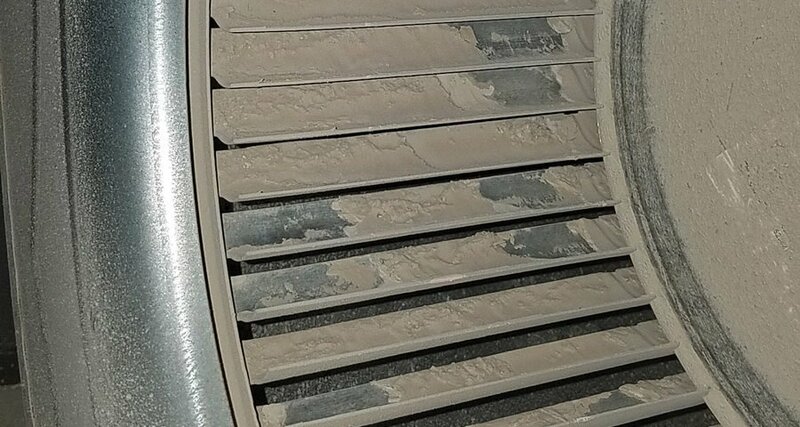 The result; excessive buildup of these contaminants on the motor and blower wheel, which adds excessive load to the motor which is designed to run with a clean blower wheel. And if the home also has a central air conditioning system, the indoor AC evaporator coil mounted on the furnace will also become clogged with these particles. Not only will the aforementioned problems occur, but the home’s ducts will end up being coated with the construction debris. And rarely, if ever, have I seen the home builder have the ducts cleaned after construction of the home. Of course, if the proper furnace preventive maintenance precautions were addressed in the first place there would be no need for concern. But all too often these precautions are not taken, and the result is a brand new heating (and cooling) system that is working inefficiently at best, or is working way too hard from day one and will eventually fail due to the accumulation of this debris on the components. It is a problem that is all too common in new homes, as written about in this article by The News, an independent expert in the HVAC industry. And because this is a result of neglect as opposed to a component failure occurring under normal wear and tear, the manufacturer of the heating and/or cooling equipment has the right to deny any warranty claim for failed parts. Not only could the new homeowner be responsible for all of the repairs and cleaning necessary to restore the system to “like new” condition, the home builder is unlikely to reimburse the homeowner for any losses incurred. So what can a new home buyer do to prevent this from occurring? First of all, don’t assume that everything in the new home is “bright and shiny” just because it’s new. Thoroughly inspect the inside of the furnace, paying close attention to the blower compartment. If it’s coated with drywall dust and paint over spray, insist these components be thoroughly cleaned by a professional HVAC company. Also visually inspect the duct system, and ask the home builder to have the ducts professionally cleaned before taking possession of the home. It’s important to consider furnace preventive maintenance even in new homes. Furnace preventive maintenance is not only important in older homes, but as you can see, it’s vital in many brand new homes as well. As the saying goes, “an ounce of prevention is worth a pound of cure”.